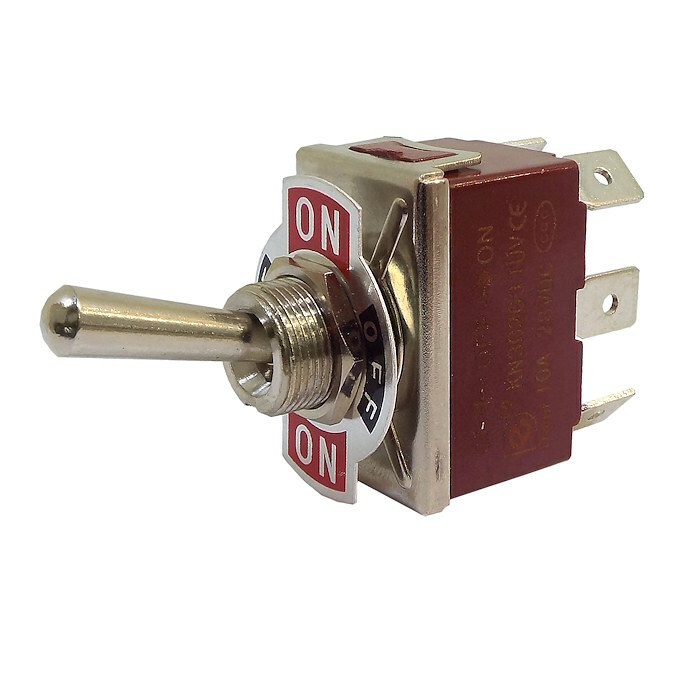 Changeover or on-off-on three position toggle switch. 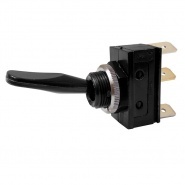 Double pole switch with nickel plated brass toggle lever. Rated: 10A at 28V DC. 0-603-03 sprung loaded red toggle switch safety guard. 0-603-99 pack of 10 rubber sealing gaiters for 12.5mm shafted switches. 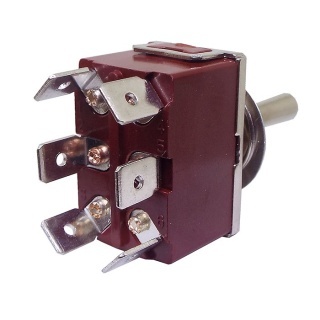 A double pole metal switch with a plated brass lever, suitable for power load switching up to 10 amps at 28V DC (suitable for 12V DC and 24V DC circuits). Switching function is a double pole 'on', 'off' and 'on' or 'changeover' position, which allows two separate circuits to switch, the positions fix in place until operated again. Contact material Fixed: silver on copper. Moving: silver alloy on copper. 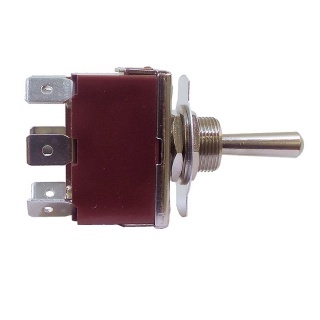 Temperature range Operating: 0 to +85℃. 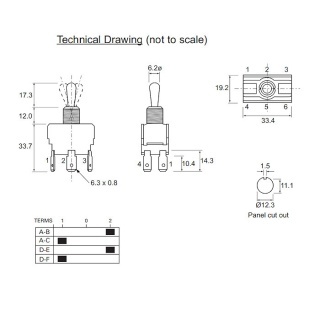 Electric strength 0.75kV across contacts and 2kV live to accessible surfaces. Mounting Threaded bush, 15/32 Whitworth, secured front and behind the panel by fixing nut and ring. 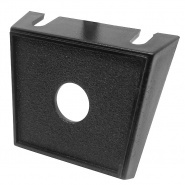 Single switch under panel mounting plate. Black plastic with a 13mm diameter hole. 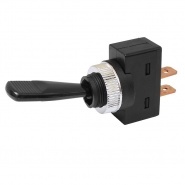 On-off single pole switch, with plastic paddle style lever and 6.3mm blade terminals, requires 13mm panel hole, rated 10A at 12V dc.